This Christmas river cruise begins in Switzerland and takes you down the Rhine River to France and Germany, with beautiful passing views and quaint villages festively lit and decorated—a unique and unforgettable way to celebrate the season! 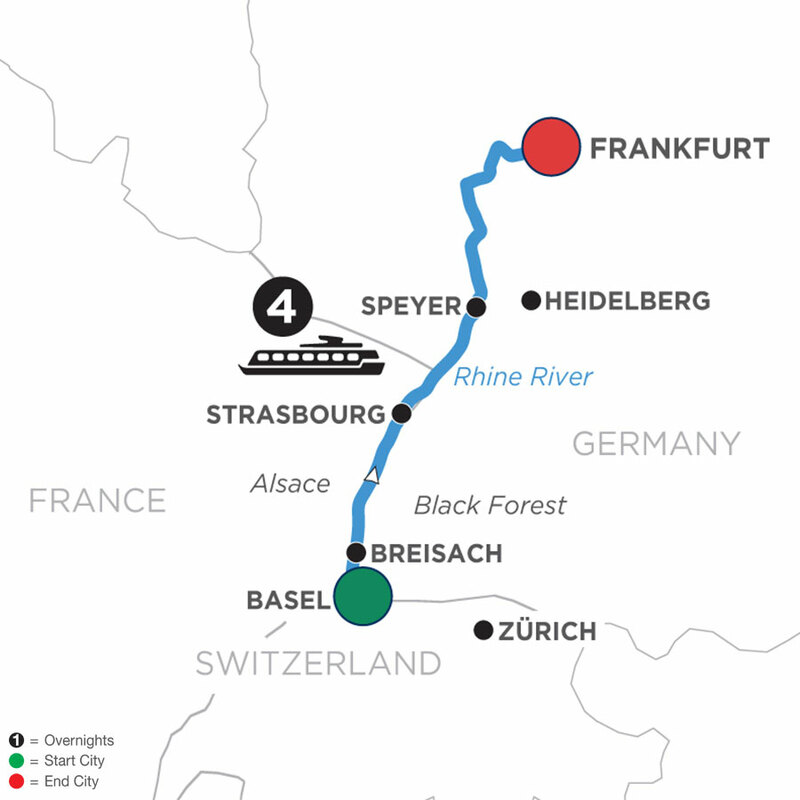 Board your ship in Basel, Switzerland, then stop in Breisach, considered the gateway to Germany’s Black Forest. 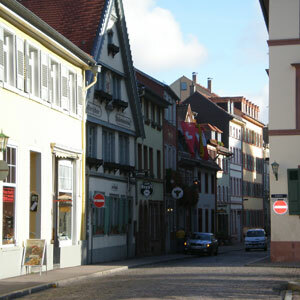 An area of unrivaled natural beauty, best known for Black Forest ham, cherry cake, and the cuckoo clock. There is no better setting than at this time of year when smoke curls from the chimneys of the traditional Black Forest houses. Strasbourg, France, located on the border with Germany, perfectly blends the cultures of both countries. The city is home to one of the oldest and finest Christmas markets in Europe—dating back to the 16th century. Take in the aromas of mulled wine, spice cakes, and biscuits. Bask in the holiday atmosphere as you visit Strasbourg Cathedral, a gothic masterpiece made of red sandstone, and containing ancient murals and fascinating astronomical clock. You’ll go on an excursion to Heidelberg, Germany, to visit the fascinating ruins of Heidelberg Castle, towering magnificently over the city. This time of year, an ice rink can be found at the foot of the castle and the Christmas market is spread over five town squares. Delight in the holiday cheer with Glühwein (hot mulled wine), bratwursts, and other regional delicacies. There’s plenty of time to find just the right Christmas present amongst the array of crafts, Christmas decorations, and gifts before this magical European river cruise ends in Wiesbaden, Germany.